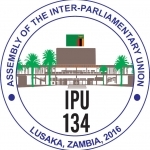 In March 2016, parliamentarians from around the world convened in Lusaka, Zambia for the 134th General Assembly of the Inter-Parliamentary Union (IPU) to address critical and current issues. Our democracies face key challenges. We are challenged to restore and strengthen public confidence in the institutions of democracy. The perception of disconnect, corruption and inauthenticity undermines our institutions and the image of politics and politicians. Voter turnout in elections has tended to decrease over time, especially among young people. Barriers to democracy, and the tendency for any part of the population to turn their backs on our institutions, are a concern to us all. Statistically, young people are least likely to vote and are increasingly disengaged from formal political processes. Read the full outcome document in English and en Français. 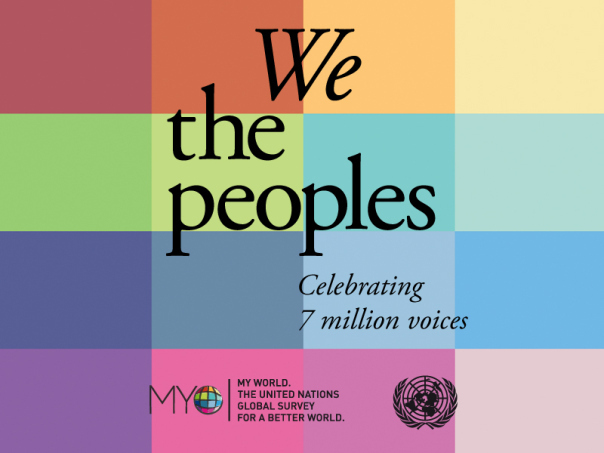 To date, MY World is the largest survey ever undertaken by the United Nations in its 70-year history, having reached over 7 million people all over the world. It asks citizens all over the world to vote for the six out of 16 issues which are most important to them and their families – from better healthcare to clean water and sanitation, to freedom from discrimination. Those priorities are visualized on an open data site, where the priorities can be disaggregated by gender, age, education, HDI level, and country. The full report is available here. The Global Youth Call for Prioritizing Youth in the Post-2015 Development Agenda reflects the participation of over 1700 youth organizations, the UN Major Group on Children and Youth, the International Coordination Meeting of Youth Organisations (ICMYO), the Alliance for International Youth Development, the United Nations Inter-agency Network on Youth Development, and intergovernmental organizations The Commonwealth and Ibero-American Youth Organization (OIJ). The Call addresses the five top development priorities identified by young people– education, employment, health, governance and participation, and peace and security. 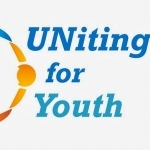 The Global Youth Call was first presented during the 2014 ECOSOC Youth Forum and has since been and continues to serve as a rallying document for a large set of youth actors and supporters of youth policy. 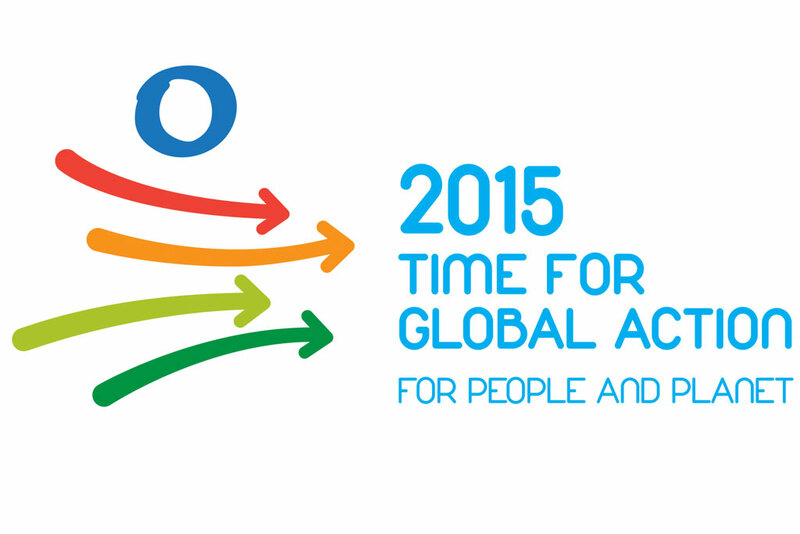 Find a summary of the background and events leading up to the Global Youth Call here. The full text of the Call is available here. The Baku Commitment to Youth Policies serves as an agreement outcome from the first Global Forum on Youth Policies in Azerbaijan. The event was co-organized by the Office of the UN Secretary-General’s Envoy on Youth, the United Nations Development Programme, the United Nations Educational, Scientific and Cultural Organisation, and the Council of Europe. Bringing over 700 people from 165 different countries, these participants debated youth policy-related issues by looking at key thematic areas, guiding principles and common denominators as well as regional frameworks and priorities of youth policies. The forums findings on youth policies concluded that they should be: Inclusive, Participatory Gender-responsive, Comprehensive, Knowledge-based and evidence-informed, Fully resourced and Accountable. All in all based on the results above, the participants call for promoting synergies between youth policies and broader development policies and frameworks, particularly in the context of the Post-2015 Development Agenda and means of implementation thereof and also Enabling greater youth involvement in strong, sound and inclusive youth policy monitoring and evaluation systems. Read the full text of the Baku Commitment here. The World Programme of Action for Youth (WPAY), adopted by the General Assembly in 1995, provides a policy framework and practical guidelines for national action and international support to improve the situation of young people around the world. The WPAY covers fifteen youth priority areas and contains proposals for action in each of these areas. Objectives and actions reflect the three themes of the first International Youth Year: Participation, Development, Peace in 1985; they are interlinked and mutually reinforcing. The fifteen fields of action identified by the international community are education, employment, hunger and poverty, health, environment, substance abuse, juvenile justice, leisure-time activities, girls and young women and the full and effective participation of youth in the life of society and in decision-making, as well as globalization, information and communication technologies, HIV/AIDS, armed conflict, and intergenerational issues. Click here for the full report. Young People’s Engagement in Strengthening Accountability for the Post-2015 Agenda, a report published in collaboration with Plan International and ODI, looks at how and why young people can and should be involved in formal and non-formal monitoring mechanisms to hold duty bearers, including governments, the private sector, and civil society, to account for commitments made in the post-2015 framework. Young people, the majority of whom live in developing countries, should be included as key stakeholders – not only within the goals and targets of the framework, but also in post-2015 monitoring and accountability mechanisms. 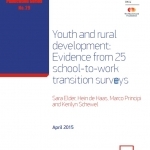 The paper argues for effective platforms dedicated to meaningful participation of youth, that the participation of young people be achieved through formal and informal post-2015 accountability mechanisms at all levels, and for the implementation of accountability processes at both the local and national levels. The full text of the paper is available here. 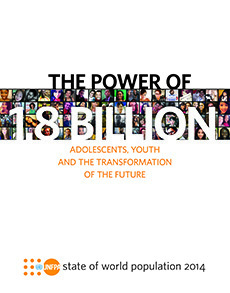 State of World Report 2014, the Power of 1.8 Billion: Adolescence, Youth, and the Transformation of the Future, examines global demographic information that focuses on the vital role of young people in the socioeconomic progress of developing countries. The report makes a point that young people matter. They matter because an unprecedented 1.8 billion youth are alive today, and because they are the shapers and leaders of our global future. According to the report, by the United Nations Population Fund (UNFPA), nine in 10 of the world’s 1.8 billion young people live in less developed countries, where the young encounter obstacles to education, health and a life free from violence. Without intervention, many of these young people may never realize their full potential. The full report is available here. 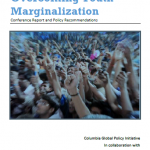 Overcoming Youth Marginalization, a conference report and set of policy recommendations published in partnership with Columbia University, came out of a two-day public policy dialogue which focused on youth marginalization and inequality. The event aimed to provide a multi-stakeholder opportunity to focus on issues of youth marginalization and identify lessons learned and best practices for addressing it. Discussions explored the nexus of where issues of inequality and marginalization converge, and brought into focus the need for a human rights-based approach when tackling fundamental youth issues. The subsequent conference report documents the dialogue between panellists and participants throughout the four panel discussions, and includes input from participants at various Columbia Global Centres. The report also highlights specific policy recommendations offered by experts to encourage progress and empower youth, and concludes with recommendations for future progress. 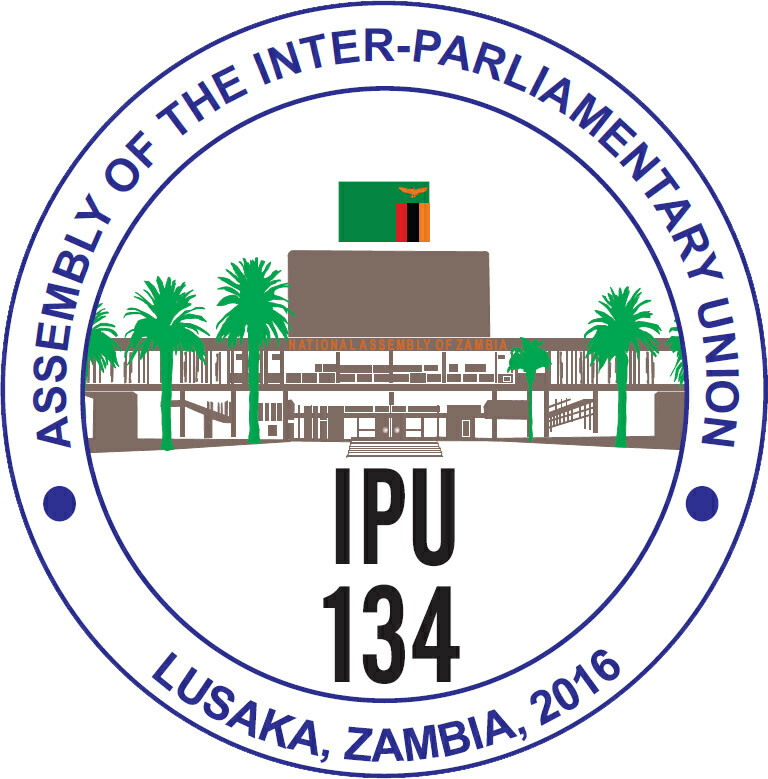 A summary of the events of the conference is available here. Read the full text of the report here. The year 2015 presents us with an opportunity that will not come again our generation. As an important contribution to the negotiations leading up to the September 2015 summit, the Secretary-General informally presented an advance unedited version of his synthesis report to UN Member States on 4 December 2014 to assist their preparations. 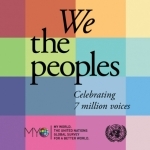 According to the Synthesis Report of the Secretary-General, On the Post-2015 Agenda, “It should by now be recognized that no society can reach its full potential if whole segments of that society, especially young people, are excluded from participating in, contributing to, and benefiting from development. …” . The synthesis report comprises 17 Development Goals that presented dignity, people, prosperity, the planet, justice and partnerships as an integrated set of “essential elements” aimed at providing conceptual guidance during discussions of the goals and Mr. Ban stressed that none could be considered in isolation from the others and that each was an integral part of the whole. Read the full text of the report here. Work4Youth Publication Series No. 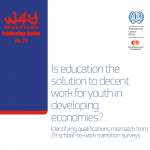 23: Is education the solution to decent work for youth in developing economies? 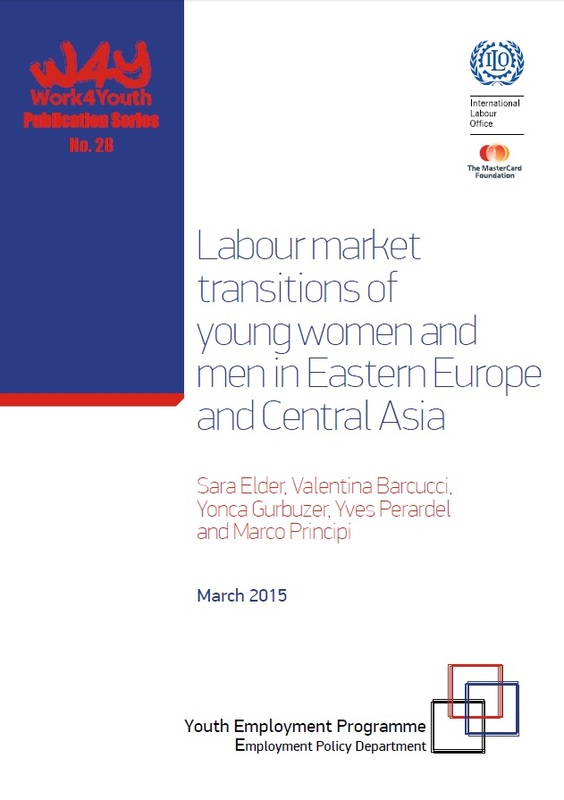 This report provides up-to-date evidence on the link between labour market outcomes and educational attainment for the population of youth in low- and middle-income countries. Based on the school-to work transitions surveys (SWTSs) run in 2012-2013, the report summarizes the education profile of youth, identifies patterns of qualifications mismatch measured in over- and under-education and examines rates of return to education. The full report is available here. 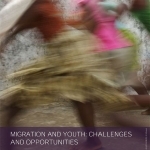 “Migration and Youth: Challenges and Opportunities” report, published on Thursday, December 18 (International Migrants Day) is the first publication to comprehensively address the multi-dimensional issues facing millions of young people who have crossed or are crossing borders in today’s increasingly mobile world. 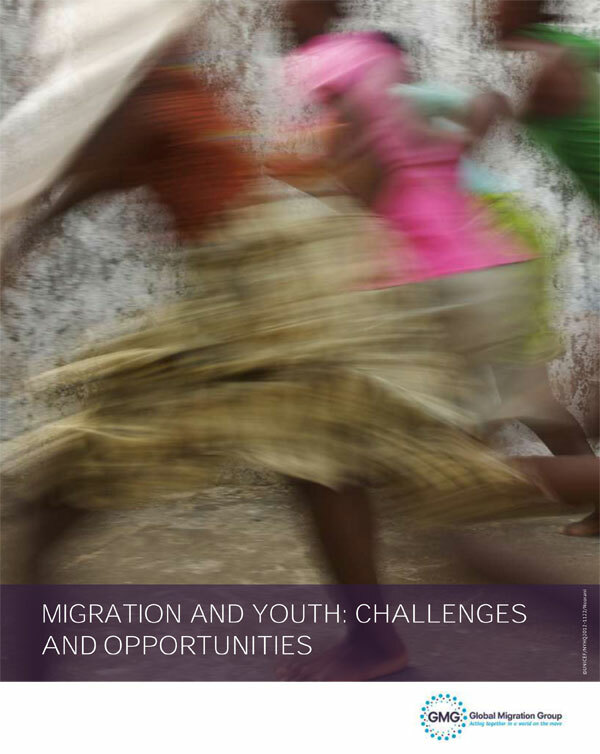 The key innovative message of the report is that youth migration can be transformed from challenge into opportunities. The GMG report presents cutting edge knowledge, lessons learned, good practices and innovative policy recommendations from a score of United Nations agencies, other international organizations, academic experts, civil society and youth leaders. It offers a full agenda of policy and practical responses on the range of issues facing governments and societies: better data, human rights, social protection, gender, employment and education, remittances, local government, youth participation, and development policy. 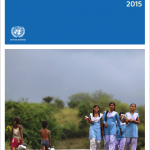 It looks ahead to emerging challenges of environmental and climate change displacement and provides timely perspective for the post-2015 United Nations development agenda. The complete publication is available here. 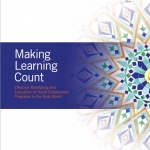 The 2015 UNESCO Global Monitoring Report – Education for All 2000-2015: Achievements and Challenges – provides a complete assessment of progress since 2000 towards the target date for reaching the Dakar Framework’s goals. It takes stock of whether the world achieved the EFA goals and stakeholders upheld their commitments. It explains possible determinants of the pace of progress.